Digitalisation and Industry 4.0: what do they mean for ArcelorMittal, for the steel industry, more importantly, what do they mean for you? Thanks to ArcelorMittal’s SteelUser and EDI and their own software for customers, BLACHPROFIL 2 has achieved an almost seamless level of automation across the supply chain. The University of Leiden is one of the world’s oldest universities. But when it came to creating a new building to house the University’s Board, they turned to modular construction and one of our most modern cladding materials: organic coated Granite® Silky Mat. Safely seated in lightweight seats? Yes we can! ArcelorMittal’s S-in motion® solutions have helped to achieve significant weight reductions. Seats are the latest vehicle component that were examined and guess what... the weight saving potential is significant. 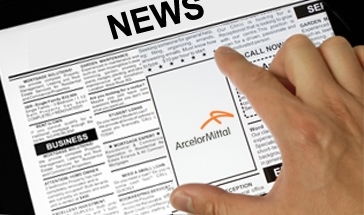 ArcelorMittal has launched the second generation of its iCARe® electrical steels for mobility solutions. Thanks to the five new grades the engine efficiency improves to maximize the driving range of your electric vehicle. Bacacier was a key partner in the development of ArcelorMittal’s Granite® Quartz in France, and is now incorporating it into their latest products. As well as providing long-term corrosion protection, Jetskin® reduces equipment maintenance and provides key environmental benefits. Named as one of the world’s most spectacular bridges by CNN, the Køge Nord footbridge will be built with heavy plate provided by ArcelorMittal Galati in Romania.